The beautiful game’s beautiful man, legendary Portuguese footballer Cristiano Ronaldo, has cemented his legacy. At the height of his career, Ronaldo has achieved famed one-name status and has no desire to slow down. In the history of modern world sport, there have been very few “one-name” stars. It’s rarefied air to be an athlete and achieve the status of being recognized in practically every country on earth, just one name. Think of Ali, Tiger, Arnie, Pelé — with only one name, sports fans around the world will know who you are talking about. A full-fledged member of this most exclusive athletic fraternity is Ronaldo, the famed Portuguese footballer who has been making magic and memories on pitches around the world for more than 15 years since first signing with Manchester United at age 18 in 2003. Ronaldo might have ended up first making his professional mark somewhere else, had it not been for a game he played for his boyhood club, Sporting Lisbon, against United and its famed manager, Sir Alex Ferguson. So impressed was Ferguson that he signed the winger, and Ronaldo first donned his famous # 7 jersey — now worn by kids around the planet. At United, Ronaldo was impossible to ignore — or to stop, once scoring 42 goals in a single season — and was widely recognized as the best player in the English game. And in the competitive field of world football leagues, where brand, sponsorships, merchandising, television rights and attendance are so important and fought over, the bidding soon began. The winner was the Spanish giant and one of football’s most successful and recognizable teams, Real Madrid, who signed Ronaldo in 2009 for a then-record $100 million. Statistically, Ronaldo is generally regarded as the greatest player in the world and one of the greatest of all time. He has four FIFA Ballon d’Or awards and is the first player to win four European Golden Shoes. He has raised 24 trophies in his illustrious career, including five league titles, four UEFA Champions League titles and one UEFA European Championship. For Ronaldo, this is his proudest achievement: almost single-handedly (though he would be the first to deny that) dragging some sides, who may not otherwise have been championship calibre, to club and international glory. Individually, if it’s possible, his statistics are even more impressive. Ronaldo has scored more than 600 senior career goals for club and country, including holding the following records: most goals in the top five European Leagues with 370, the UEFA Champions League with 111 and the UEFA European Championship with 29. 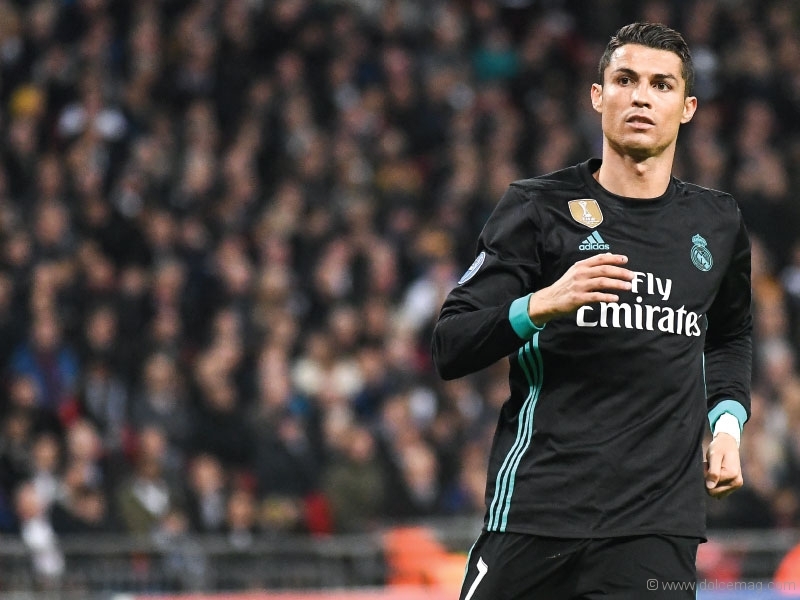 Like all the other top one-name stars, Ronaldo’s consistency over the years is perhaps his most impressive characteristic; not only are these players the best of the best, but they have also held their positions for a long time. In 196 appearances for United, Ronaldo scored 84 goals, and so far in 272 appearances for Real Madrid he has scored a mind-boggling 286 times. As a result, he has achieved almost mythical status in his native Portugal, complete with a bronze statue that is adored by many and shows off his incredible physique, which is a result of the passionate dedication to fitness that has allowed him to stay at the top of his sport. In a curious way, Ronaldo’s commitment to physical fitness has drawn criticism from time to time. How can a guy approaching 33 look like that? But he never misses his gym time — that unrelenting drive to go the additional mile may be one of the many attributes that separates him from the rest of the footballing world. While most players his age may be beginning to see their careers in the rear-view mirror, Ronaldo’s eyes are focused forward, on the next goal, the next standard, the next title and the next achievement. One of his greatest qualities, something even his opponents admire, is how Ronaldo is the ultimate “team guy.” Despite all of the accolades, personal achievements and historic milestones his team is what comes first. He views them as an extension of his family and treasures the shared experiences on the pitch, the unity of the practice field and the locker room. When the world’s biggest star puts his team first, you can imagine the impact that has on his club and with his teammates, and perhaps understand why he has such an exalted status. That position has allowed him to give back to causes that are important to him. Over the past decade, Ronaldo’s dedicated charitable efforts have raised millions for underprivileged children, another true measure of the man. But, much more than statistics or charitable giving or an upper body that would make Adonis jealous, it is how he plays the beautiful game that makes Ronaldo a star. The sheer artistry, imagination and flair that he brings to the pitch is what truly sets him apart — seeing an opening where there appears to be nothing, making a pass that didn’t seem possible, anticipating where the play is going before it even gets there. These are the Ronaldo trademarks and the skills he will be remembered for. However, no athlete has ever beaten Father Time — not even any of the one-name icons. After competing at the top level in perhaps one of the most physically demanding sports there is, there will come a time when #7 hangs it up. Right now, Ronaldo still feels healthy, still feels he can compete with the best, and is focused on maintaining that reality as long as his mind and his body can properly do so. Like all of the legends, he’ll know when he needs to step away. He’ll be aware of what he can’t do anymore, and will be the first to know it and the first to accept it. But for now, we should enjoy the passion and the artistry that is Ronaldo — his kind may never come again. The new father of a baby girl born in November recently sat down with Dolce to speak about his career, his teams, his sport and his life off the pitch. Some of you may have noticed: we have yet to use his first name. Q. Are you a bad loser? A. I am not a bad loser, but it hurts. It hurts and it is something I carry around with me. Sometimes in matches when we are losing, you want to do everything — you want to go to every part of the pitch to get the ball and try to do it all yourself. But football is a game of control and just as in life, sometimes you have to accept other people do things better than you, and you have to let them get on and do their own jobs. In this instance, I want them to get the ball and pass it to me so I can score a goal! Q. How important is the team? A. Football is the ultimate team game, and we all contribute toward something that is truly magnificent. When you are a team you have such a shared unity, and that is very special. I cannot imagine myself doing a sport that is based on just one person — for me being in a team is being with family. Q. Have you considered retirement? A. I still have huge ambitions for my career and, really, I cannot imagine a time when I am not playing football. I wonder what I will do when I retire, and the only thing that really excites me is being a father. So I will need other things to fill my time! But at the moment this is not a priority for me — my priority is keeping my body going and ensuring I am the player I always was. At the age I am at now people keep reminding me that the years are moving on, but I feel really, really strong, and I think the way I am playing still shows that age does not matter; it is how you are in your head. What is true is I only want to play to the point where I can finish at the top — I think that is the way I want to be remembered. Q. How important is fashion to you? A. Well, very important, and to put my own ideas down in creating my own clothing line (CR7) has been a big thing for me. It is flattering that people want to wear my clothes, but individuality for me has always been important, and I would certainly encourage people to follow their own path. Q. What does it feel like to be a parent? A. It is the most incredible journey, and I look forward to sharing that journey with [my family]. I am so lucky to have these amazing people in my life, and really that goes before everything else I have. For me it is the link I have to the past as well. So, I have unbelievable memories of my father. He was always there for me and for me, it was always the small things that made such a difference. And those are the things I want to take forward as a father myself — the idea that it is the small things you do, not necessarily the big things. I was never pressured to do one thing or another. I always had a very clear vision and the encouragement to do whatever I wanted to do. Q. Does your mother still support you in your football career? A. My mother is still there for me now — she doesn’t watch my matches, as it is too much for her to go through, but she is the most important person and the rock beside me. Q. Looking back, what are your thoughts on Ronaldo, the movie? A. I am glad it was made; it provided a moment in time that I can always go back to now, and perhaps it enabled other people in the world to see a different side of me. Of course, I know it is fashionable sometimes to want to dislike a player, or a team. But I hope the movie stood me in a position so that people could form their own judgments and not just dislike me because of the team or country I represent. Q. Does reputation matter to you? A. I think many footballers get a bad reputation because it is easy for journalists to take something and make it negative. But most footballers are very humble guys, and are always so grateful for what they have and the lives they lead. And these guys care as well — of course we care about our own personal achievements. But more than that, we care about making fans and supporters happy, and it hurts us to know we have hurt them when we fail. I think that comes across in the movie, as well as the fact I really don’t mind what people think about me or the decisions I make. Some things will always remain private, and that is just for me and my family, but beyond that I do not really do anything for people to form negative opinions about me, I don’t think. So I must think to myself, if they still do have negative thoughts, then, really, I can do nothing about that! Q. What’s it like being a foot superstar? A. It’s great. Being who I am has given me the motivation to continue to work hard and be better in my job, but I have to say to be in my shoes is not easy — but I’m not complaining. I just want to say that. I feel happy. All this happens because of a reason. The reason is I’m unbelievable on the pitch. This is why the people have so much interest on me. So it’s as simple as that. I’m good, I’m happy, I’m motivated all the time. I’m very professional and I want to carry on like that. Q. What possibility is there of you going back to Manchester United one day? A. As I have said many times in the past, as far as the future goes, nobody knows. here at Real Madrid, but the future … nobody knows. Q. Have you ever thought about becoming a coach some day? A. It’s not something that I think a lot about. If you ask me right now, I don’t want to be a football coach. After a few years, people might say, ‘you have the profile to be a coach,’ but I don’t want to — it’s too complicated. Right now, I just want to focus on football; this is my passion, this is what I love to do. But in the future, nobody knows … maybe in five, six, 10 years, I will change my mind and I will be an amazing coach! Let’s see. Q. Following Portugal’s Euro 2016 victory, how was winning an international competition compared to tasting success with a club side? A. It was the first time, so it’s always special. I’ve won the Champions League three times, but my dream was always to win something for Portugal, with the national team, and that’s what we did. We won for the first time and the feeling is completely different. I was very emotional. I was thinking about my team mates, my family — my whole family, because we were all born in Portugal. So the feeling was a little bit crazy. I cried a lot. Sad moments, emotional moments, happy moments; it all happened on the same day. It was an unbelievable achievement; it was a special day.